Dissidia Final Fantasy launches in Japan on Nov. 26, and everyday, the company will be counting down with a new character trailer. That should lead us right up into the nationwide release with a new familiar face to greet us. 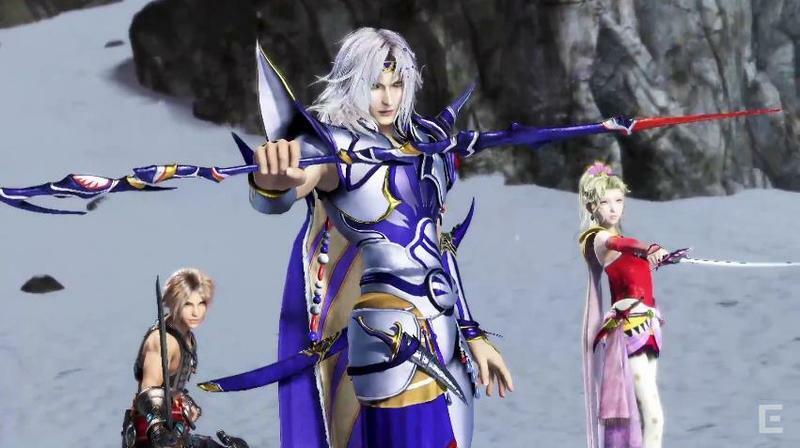 Square Enix started its countdown over the weekend, and so far, five excellent teasers have shown off the fighting talents of Final Fantasy's Warrior of Light, Final Fantasy II's Firion, Final Fantasy III's Onion Knight, and the most famous among them, Final Fantasy IV's Cecil Harvey. The early Final Fantasy games were not known for having deep characters, and Cecil was the first to bring actual conflict and duality to his storyline. This is why is he still remains so popular. His character is perfectly captured in his gameplay, too, with his ability to swap between his Paladin Light side and his Dark Knight side. Final Fantasy V's infamously named Butz, as he is still called in Japan, also has a nice trailer showing off his job changing skills. He is simply the master of everything except having a defined personality. If we're following the series chronologically, Terra from Final Fantasy VI should be next, leading all the way into Y'shtola from Final Fantasy XIV Online. Maybe we'll even get to see Ramza from Final Fantasy Tactics just before the game launches! No doubt Cloud's trailer will also get an extra bit of discussion with comparisons to his recently announced appearance in Super Smash Bros. Check out the other trailers below. Dissidia Final Fantasy launches on Nov. 26 in Japan for arcades.